Job outlooks suggest that paralegals will be in high demand for the next several years. The total number of legal jobs since September of 2014 according to the U.S. labor Deportment, stands at around 1,133,700. That’s an increase of about 344 jobs since it’s last report a month ago. Lawyers have more cases and in turn, they need more help which leads to more demand for paralegals. If you are aware of this trend, you’re probably asking yourself two questions: what is takes to be a paralegal and how long does it take to be a paralegal? Some paralegals do not have formal training; they may have started as a legal secretary or been fortunate to receive a paralegal position and learned on the job as needed. Other paralegals participated in one of the many formal training opportunities available to aspiring paralegals. Although a formal paralegal education is not required, it is helpful as is the optional paralegal certification. 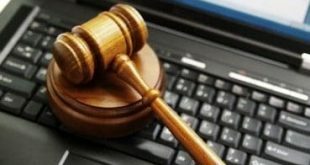 How Long Does It Take To Be A Paralegal Through On The Job Training? This is a question with many answers, or no real answer depending on your perspective. 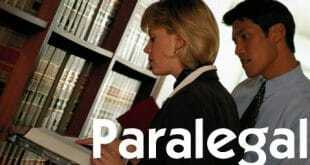 Once you have a position as a paralegal, you have a learning curve as you understand the functions of the role. How quickly you succeed at your job is a function of your learning ability and dedication and the teaching ability of whomever is training you. You can become proficient in several weeks or a year depending on your training and prior skills. It may be more difficult to land a position as a paralegal without prior experience but on-the-job training is surely most cost efficient as you avoid tuition payments while getting paid to learn. Do I Need An Associate Or Bachelors Degree? The time to complete your degree changes with your course load with more courses at a time resulting in a shorter overall time to completion. A paralegal associate’s degree can be earned at most institutions in about a year and a half with a moderate course load. Similar to other bachelor’s level degrees, a bachelor’s degree in paralegal studies is about 3-5 years depending on course load. Most people interested in transitioning into a paralegal position from another field opt to enroll in a paralegal certificate training course. These courses are perfect for those who hold a bachelor’s degree and often require a bachelor’s as a prerequisite. You can find classroom-based courses in many cities or online courses that will be available across the country. Most of these certificate programs are fairly short and can be completed in a few months or less. Regardless of where you are on your educational path, the sooner you get started the sooner you finish. Whether time is the most important factor, the sooner you get started the sooner you can answer the question how long does it take to become a paralegal! On a side note: Corporate law firms on average pay $36.57 an hour for paralegals according to ALM Legal Intelligence and the the International Practice Management Association. Nearly 326 law firms and law departments participated, providing information about 9,239 positions.